For a much larger image, click this picture. 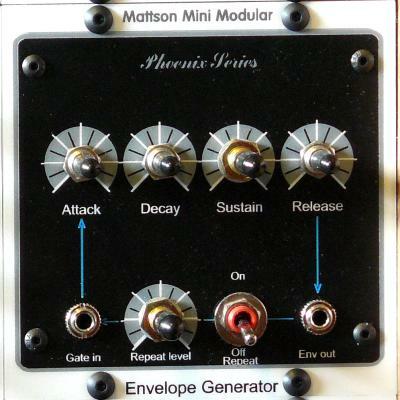 From the ashes of the classic PMS Syntar comes George Mattson's newest progeny, the Mattson Mini Modular synthesizer. George has taken the wonderful core circuits from his Syntar and used them as the basis of the "Phoenix Series" modules that comprise the foundation of this new modular. To these have been added some powerful and noteworthy new modules, adding additional character and flexibility to the already compelling "phoenix" module set. This unique little modular synth brings some surprising elements to the table as I hope to show in this little overview. 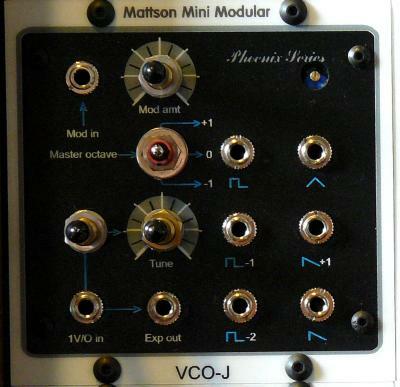 The oscillator "VCO-J" can output square, triangle and saw waveforms simultaneously. What is unique is that it can output octaves of the square and saw simultaneously as well - one octave up for the saw and one or two octaves down for the square. 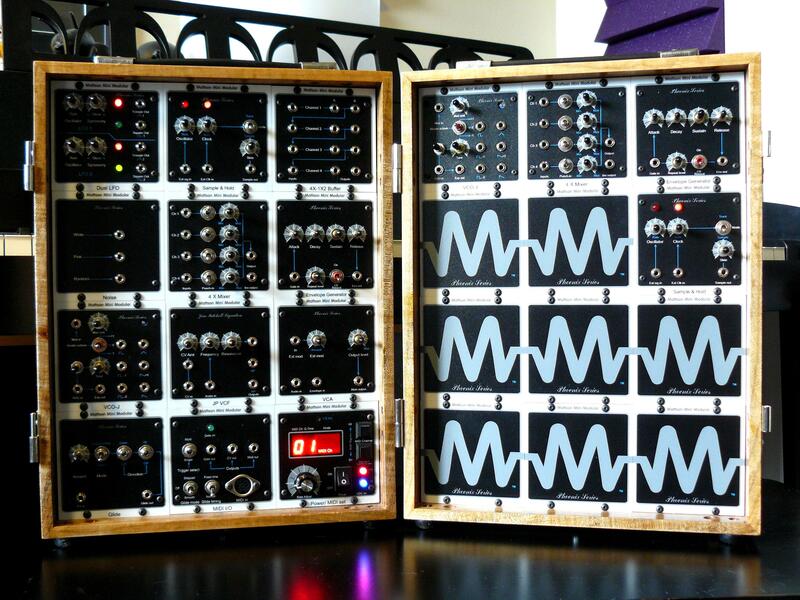 Even in a small system there is a ton of sound to work with, even from a single oscillator. 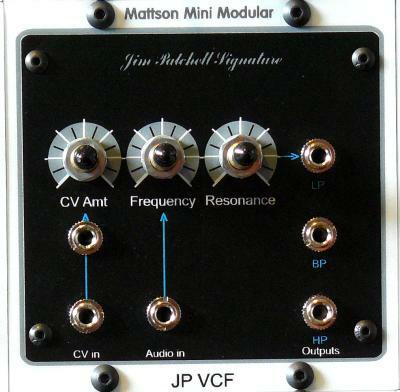 The Jim Patchell Signature Filter is one of those new circuits I mentioned earlier. The filter, unlike most other 24dB/oct resonant filters, offers simultaneous lowpass, highpass and bandpass outputs. This filter began as a clone of the SSM 2040 but thanks to Jim Patchell and George Mattson is now something much more than that. It is easily one of the most musical filters I have ever heard! Bread and butter for transient creation but also lots of fun in that this EG can be switched to cycle with an integral pot to set the level at which cycling occurs. 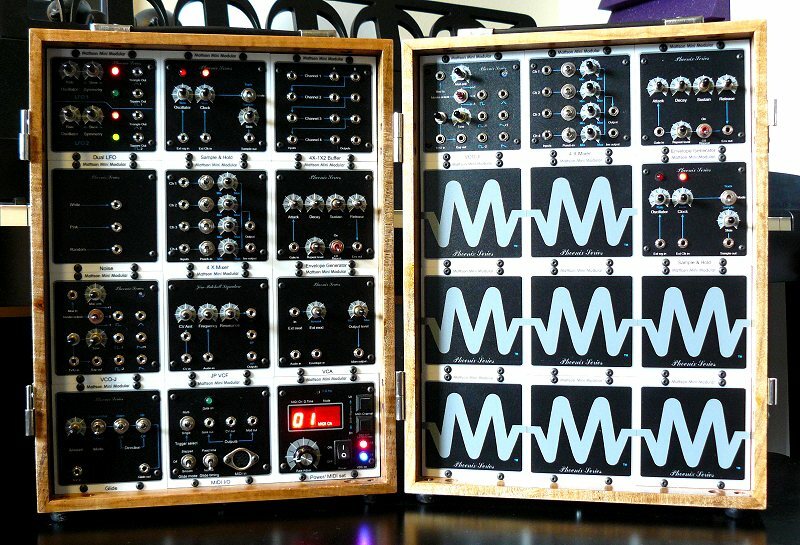 The MMM's sample and hold is another familiar synth module but with some fun twists. 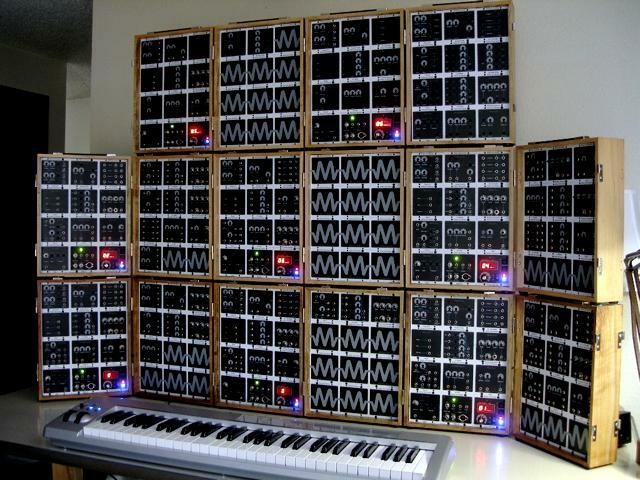 It has it's own internal clock if you don't want to waste an LFO or Osc but may be clocked externally as well. A clock output is provided for syncing other modules. There is a built-in adjustable slew generator on its output to add variable smoothing to the signal. Last but by no means least the module can be switched to a Track-and-Hold for some great effects. 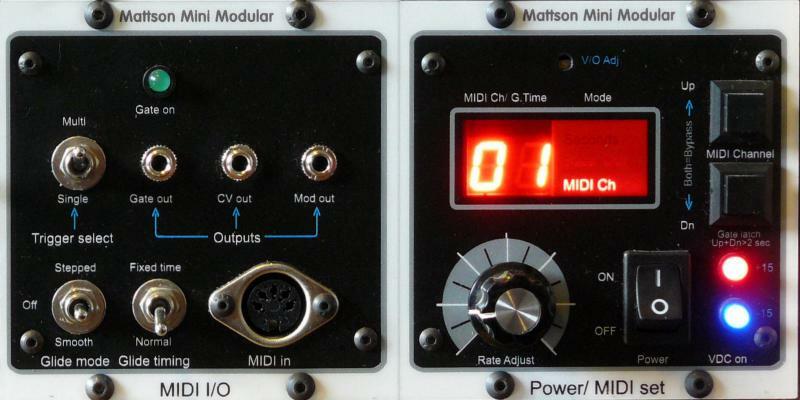 Power and MIDI-to-CV conversion on the MMM are handled by one dual-width comprehensive module. Besides the standard Gate and CV out there is also a "Mod" output mapped to Modwheel position. Gating can be multi or single triggered. Adjustable glide can be added to the CV out with either fixed rate or the more unusual fixed time response and this glide can be "normal" or a chromatically-stepped glissando. 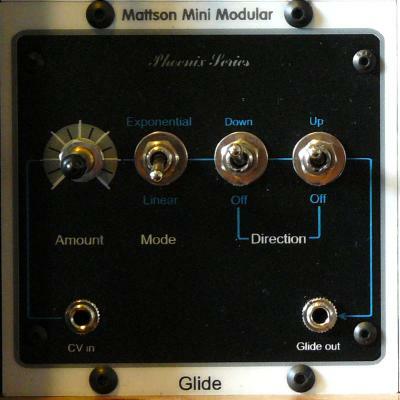 Besides the Glide featured in the above mentioned MIDI/CV converter, the MMM features a standard "Glide" module for all your CV slewing needs. Unique to this module is the choice of directional switching, making for a very flexible CV processor. 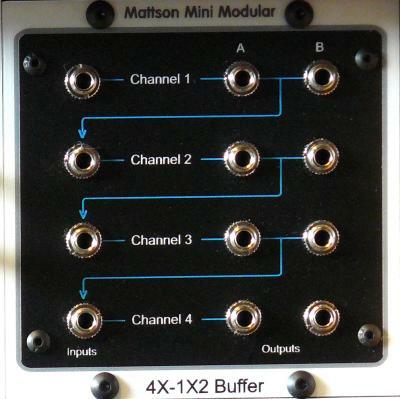 Like an auto-switching "multiple on steroids", the 4X-1X2 Buffer is an flexible routing system with four inputs, each controlling the sections below it. This handy module can be used in many configurations depending how it's patched - 1X8, 2X4, 3X2&4, etc. Since it is a buffer and not a simple multiple, CV integrity is maintained for exacting applications. 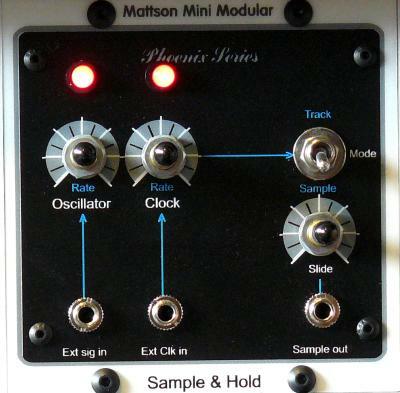 The Mattson Mini Modular debuted at the 2007 Pacific Northwest Synth Meeting. This Quicktime movie shows the prototype (with the older graphics) being run through its paces at the meeting. The Soundtrack is all MMM and was composed and recorded by William H of Insidesynthesis fame. Just William H's music from the above movie. An "online Manual" of the MMM in Wiki form -probably the most useful source of information currently about the MMM. The home on the web for this unique modular, including an excellent Users Forum for the easy exchange of useful information and ideas. 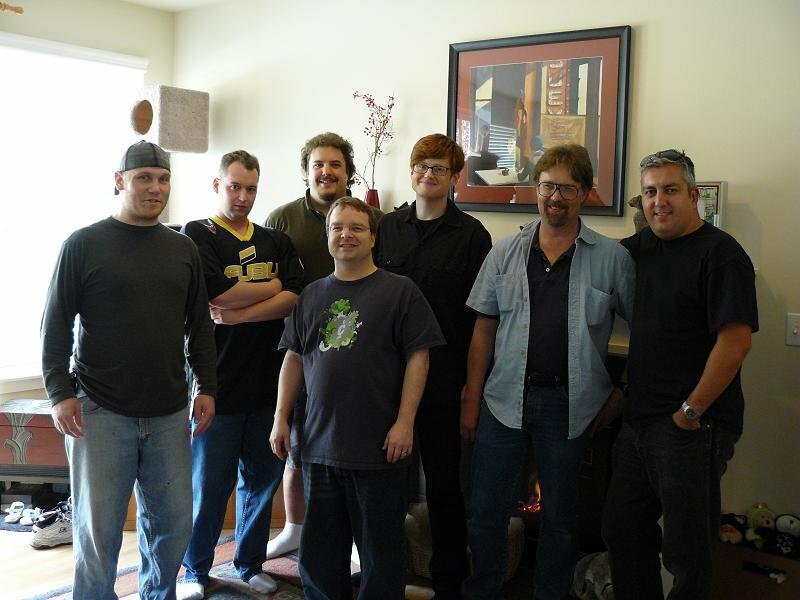 A very special thanks goes out to George Mattson, Red Martian and Matrixsynth. The contents of these pages are Copyright ©James D. Maier 1997, 2013 All Rights Reserved. Please report any broken links or problems you may have with these pages.